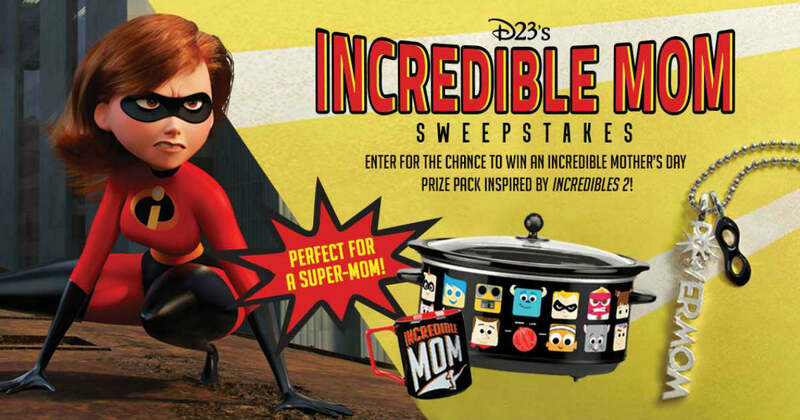 Enter the Disney D23 Mothers Day Sweepstakes for a chance to Win a $200 Disney Gift Card, Alex Woo Powermom Charm & Necklace, Alex Woo Incredible Mask & Necklace, Mrs. Incredible "Incredible Mom" Mug, Pixar 7-Quart Slow Cooker, Pixar 3-Pack Dippers and Pixar Popcorn Popper. Enter by11:59 pm, May 8, 2018.